Our selection of sports supports warm and protect all parts of the body. The supports have a number of benefits as Luc Abalo, Hans Lindberg and Jesper Nøddesbo have discovered, who regularly use them during training and matches. Several football clubs also appreciate the diversity of the range. The athlete's body needs care and attention. This is where our long list of different sportscare products come into play. With medical bags, creams, and several types of tapes, we allow for plenty of recovery after training and in preparation for the next match. High quality supports for the entire body made in hard-wearing SBR neoprene. Practical supports for arms and legs with kinesiological effect for more energy. 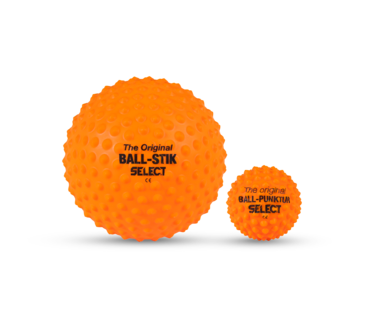 Mmassage balls suitable for the entire body - especially the back and the feet.